Have your teeth become stained or discolored? Are your teeth a darker or yellower shade than you would like? Do your discolored, dull, or otherwise stained teeth make you feel self-conscious about your smile? If you are experiencing any of these problems, we are here to help. With professional teeth whitening treatments, we can give you a brighter, whiter smile from the comfort of our relaxing Mesa office. There are a number of different reasons why teeth become discolored or stained. Food or Drink | Teeth can become discolored over time by certain foods or drinks. The most common foods that darken your teeth include coffee, tea, wine, and soda. Professional teeth whitening can help fix staining caused by food or drink. Tobacco | If you are smoker or tobacco user, it can cause your teeth to become discolored and stained. We can help your teeth become shades lighter using professional whitening. Medication | Certain medications can have a negative effect on the coloration of your teeth. Our Boost® professional teeth whitening system help combat this issue. Fluorosis | If your teeth were overexposed to fluoride during their development, they may have become stained. With Boost®, we can help you get your smile back on track. At Inspire Dental, we are proud to offer Boost® whitening to help our patients achieve the gorgeous, white smile of their dreams. 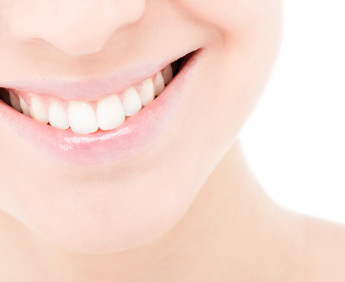 Our highly trained team can brighten your smile by several shades in as little as one visit! Would you like to have a whiter, brighter smile? If so, feel free to contact us today!